Using a list of just the top 200 warranty providers, we found one company whose warranty managers have cut costs by a billion a year within a decade, two more that cut hundreds of millions a year, and five that cut tens of millions a year from their employers' annual claims cost. And there were 16 more that deserved honorable mentions for their efforts. 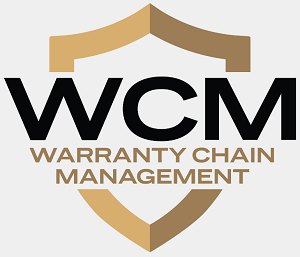 Among the top 200 warranty providers, consisting of all U.S.-based manufacturers that report spending $8 million or more per year on warranty claims, there is a small and select group of companies that have consistently reduced their warranty expense rates. This doesn't mean their expense rates never go up. But it does mean that in general, over the past 12 years since they all began reporting their warranty expenses in their financial reports, the general direction has been down. In this week's newsletter, we have found eight companies that have saved millions or even billions of dollars in warranty claims costs since 2003. For each of them, we took their peak claims rate, and pretended it was still their most recent claims rate. The difference between that figure and the actual reported figure, we assumed was the amount of money being saved through cost-cutting. Some of the calculations were surprisingly huge. Let's start with Hewlett-Packard Co., which is not only one of the world's largest warranty providers, but also one of the world's most successful warranty cost-cutters. As can be seen below in Figure 1, the company in 2003 spent upwards of 4% of its product revenue on warranty claims. In the most recent fiscal year ended October 31, 2014, it spent only 2.6%. So let's put that savings into dollar terms. HP spent $1.93 billion on warranty claims worldwide last year. If HP were still spending 4.0% of its product revenue on warranty claims, that cost would have been $2.97 billion -- more than a billion dollars higher than it was. In other words, HP has reduced its warranty expenses by more than $1 billion a year since 2003. The math works out much the same on the accrual side. In 2003, HP set aside 3.8% of its product revenue as warranty accruals. If it were still doing that, its annual bill would have been $2.78 billion in fiscal 2014 instead of $1.84 billion. So, by cutting its accrual rate to 2.5% during the period, HP saved itself $940 million last year. However, notice that HP's lowest-ever claims and accrual rates came in the first quarter of fiscal 2014, covering the months of November 2013 to January 2014. Since then, both expense rates are up, though not by much. But it's still possible that the warranty cost-cutting era is over, and that 2.4% or 2.5% will turn out to be the record low. It doesn't mean that expense rates will return to 4.0%, but it could mean they'll never get to 2.0%. Then again, this has happened before. HP's warranty expense rates began to rise again at the beginning of fiscal 2008, and then again at the beginning of fiscal 2011. One could have said on both occasions that 3.0% was the lowest those rates would ever get. But then they went lower still. So time will tell whether there's more warranty cost-cutting to be done at HP. At United Technologies, a similar pattern has emerged. Its highest warranty expense rates came in 2003, while its lowest have been seen in recent years. The lowest accrual rate seen so far came in the second calendar quarter of 2014 (0.5%), while the lowest claims rate (0.6%) came in the second quarter of 2013. We don't yet have United Technologies' 2014 annual report in hand, so we'll have to work off of 2013 and 2003 numbers. But let's say that the company's claims and accrual rates were the same in 2013 as they were in 2003. If they were, the company would have paid $727 million in claims in 2013 instead of only $287 million. And it would have set aside $760 million in accruals instead of $313 million. In other words, over the course of a decade, United Technologies has found ways to save itself as much as $440 million a year in warranty expenses not incurred. These are the two biggest warranty cost-cutters in terms of absolute dollars saved. HP cut about a billion dollars off its warranty bill, while United Technologies cut its bill by about $440 million. Those are huge numbers in dollars, and they make huge contributions to net income. For instance, HP reported just over $5 billion in net earnings in fiscal 2014. Imagine if that total was 20% lower, eaten away by stubbornly high warranty expenses. Savings among the other very large warranty providers were harder to find. At the end of September 2014, only a dozen U.S.-based warranty providers were holding reserves in excess of $1 billion. HP and United Technologies were the only two of them that have shown a consistent ability to cut warranty costs, and keep them low. The other ten were GM, Ford & Chrysler, Apple, Boeing, Caterpillar, GE, Navistar, Cummins, and Deere. None of those made our list. Therefore, to get our list up to eight companies, we had to consider hundreds of medium-sized warranty providers. In relative terms, compared to HP and United Technologies, some of these companies cut their much smaller warranty costs by much greater percentages. For instance, Ciena Corp. cut its claims rate in half compared to five years ago, while Rockwell Collins cut its claims rate in half compared to ten years ago. However, in dollar terms, Ciena saved itself $32 million, while Rockwell Collins saved itself $27 million. Those aren't small sums by any means, but they're not a billion dollars either. In fact, we could find only one more company that has cut its annual warranty costs by $100 million or more, if we assume that its highest claims rate was still its current claims rate. Eaton has significant operations in both the automotive and aerospace industries. However, unlike all the other companies in our list this week, Eaton reports its warranty expenses only once a year, in its annual report. So while we wait for the company's most recent data (most likely to be published in late February), we'll make some comparisons to the 2013 annual data. Like several other manufacturers on our list, the warranty cost-cutting trend at Eaton seems to have been interrupted by the 2008-2009 recession. Its claims rate in 2007 was 0.56% ($73 million in claims on $13 billion in sales) but by 2009 it was back up to 0.83% as claims rose and sales fell. But then it began falling again, which it has done for four years since. Back in 2003, Eaton paid out $82 million in claims on $8 billion in sales, for a claims rate that was just over one percent. By 2013, sales had risen to $22 billion, but claims had risen to only $99 million, so the company's claims rate fell to 0.45%. If it were still at one percent, however, the company would have paid out $125 million more in 2013 than it actually did. Once upon a time, there was a company called Rockwell International, founded in 1919 by Willard Frederick Rockwell. The company initially made axles, springs, and bearings for trucks, and later diversified and acquired its way into avionics, military equipment, railroad equipment, and even major appliances and televisions. By the time of its peak in 1988, the company had more than $12 billion in sales and more than 100,000 employees around the world. But then from 1988 to 2001, the company slowly divested itself of most of these far-flung operations. Finally, in 2001 the remainder was split into Rockwell Automation Inc. (industrial control systems, safety technology, sensors & switches) and Rockwell Collins Inc. (avionics, aviation radio & in-flight entertainment). Amazingly, both of these companies have made our list of top warranty cost-cutters. Rockwell Automation, for instance, has been reducing its warranty expense rates since 2005, from 1.0% to 1.2% back then to the current level of 0.5%. There have been some bumps along the way, but as can be seen in Figure 4 below, the trend is downwards. Though Rockwell Automation has cut its expense rates in half since 2005, its savings is much smaller than HP's or United Technologies. Still, if it were now paying claims at its 2005 rate of 1.0% rather than its 2014 rate of 0.5%, its annual bill would be $60 million instead of $29 million. Rockwell Collins has seen an even steeper level of cost-cutting, descending from 2003 expense rates over 3.0% to current levels around 1.1%. But as can be seen in Figure 5, its claims rate briefly dipped below one percent in fiscal 2012 while its accrual rate dipped as low as 0.7% in early 2010. So its latest numbers aren't its lowest numbers. Still, if Rockwell Collins were paying claims and making accruals at the same rates as it was in 2003, its claims cost would have been $74 million instead of $47 million last year, while its accruals would have topped $71 million instead of $31 million. So, depending on the warranty metric, it's saving itself $31 to $40 million a year in warranty expenses, compared to 2003. Even in an industry that attracts as much warranty expense as telecommunications equipment does, Ciena has always stood out. When Warranty Week first began collecting warranty expense data from manufacturers back in early 2003, Ciena was paying 8.0% of its product revenue in warranty claims, which back then was the 12th highest claims rate reported by all U.S. companies still operating today. How far it's come since then. In 2008 its claims rate fell below 1.2% and it settled just above that level in a fiscal year that ended on October 31, 2014. Back in the fiscal year that ended on October 31, 2003, Ciena paid out $17.4 million in claims on $241 million in product revenue. In the most recent fiscal year, product revenue rose to $1.83 billion but claims were still only $22.4 million. In other words, what you're seeing in the chart below is a company that has figured out how to grow revenue significantly while keeping warranty costs about the same. Ciena has been among the top 100 U.S.-based warranty providers only once, in 2012. But even in that year, it paid out only $25.6 million in claims. Had its claims rate remained at seven or eight percent, as it was in 2003 and 2004, the company would now be paying out between $100 and $120 million a year in warranty claims. But even since the most recent peak in 2009-2010, it's saving money. If its claims rate were still 3.2%, as it was in early 2010, its annual payout would have been $37 million higher than it was last year. Next we look at a much smaller company called FEI Co., which makes electron microscopes that are used to detect very tiny defects in metals, semiconductors, automotive parts, and even molecules and proteins. We're still awaiting its 2014 annual report, so we'll have to make comparisons to 2013, a year in which the company paid out $13.1 million in claims on $709 million in product sales (for a claims rate of 1.8%). Ten years before, in 2003, the company paid out $13.2 million in claims -- almost identical to its 2013 total. However, product sales were only $280 million, so its claims rate was a much steeper 4.7%. If its claims rate were still at that level, its annual payout would be $20 million higher per year. Then again, FEI's claims rate was even lower in 2011, at 1.4%. If it were still at that level, the company would have saved $3.3 million even compared to 2013's payout. But while 2013's year-ending claims rate wasn't the company's lowest ever, it did see its claims rate dip to 1.6% in early 2014. And when its 2014 annual report does become available (most likely in late February), it could cap a five-year period during which FEI's claims rate was at or below two percent. Within this select group of eight, Toro is peculiar in that its warranty expense rates clearly show the effect a highly seasonal product line has on claims and accrual patterns. In Toro's fiscal years, which always end in October, claims are always highest in the fourth quarter, which covers the months of August, September, and October. But sales are always highest in the second quarter, which covers the months of February, March, and April. In other words, the lawn care equipment is most often bought in the early spring and is most often repaired in the late summer. That's to be expected. However, the effect on warranty expense rates can be seen in Figure 8. The claims rate is like a bouncing ball, hitting a low in the second quarter and a high in the fourth. Meanwhile, the accrual rate undergoes a slow but constant decline. So keep your eye on the bouncing ball. In the fiscal year ended Oct. 31, 2014, Toro reported $38.6 million in claims on $2.15 billion in product sales. That equates to a 1.8% claims rate. Accruals were slightly higher, at $41.6 million or 1.9% of sales. Back in fiscal 2009, Toro's claims rate was almost 2.6%. At the end of fiscal 2003, it was over 2.8%. If Toro's claims rate was still in that range now, the company would be paying $16 to $22 million more in claims per year. Even at this level of savings, the amounts involved are sufficient to deserve some sizeable year-end bonuses for the warranty professionals involved. At HP, for instance, 10% of a billion dollars in savings, split between the 500 people on the worldwide warranty team, would still work out to $200,000 per head. United Technologies could spread 10% of its $440 million in savings among its several major divisions: Carrier, Otis, Sikorsky, Pratt & Whitney, Goodrich, and Hamilton Sundstrand. Eaton could give a hundred people each a $125,000 bonus and would still have spent only 10% of its annual savings. At the six others, which are enjoying annual savings between $22 million and $40 million, assuming their peak claims rates since 2003 were still their current claims rates, the bonuses would be smaller> But so would be the number of people on their warranty management teams. And it's not unreasonable to think they deserve 10% of the savings. After all, the money that's not spent on claims, and not set aside as accruals, becomes net income. It goes right to the bottom line. And if a salesman raised net income by $1 million a year, they'd surely be looking at a hefty year-end bonus. Why should warranty cost-cutters be treated any differently? We had 16 additional manufacturers on our short list of warranty cost-cutters, but for one reason or another they didn't live up to the metrics of these top eight. Still, we should give them an honorable mention, in a list of companies that almost made it to the top of the cost-cutter list. They are: American Woodmark Corp.; Brunswick Corp.; Danaher Corp.; Dresser-Rand Group Inc.; EMC Corp.; Flowserve Corp.; Harris Corp.; Hologic Inc.; Honeywell International Inc.; Lennox International Inc.; Middleby Corp.; Polycom Inc.; Quantum Corp.; Valspar Corp.; Varian Medical Systems Inc.; and Winnebago Industries Inc. Let's hope they continue to reduce their warranty costs in the years ahead. In the January 8 Warranty Year in Review newsletter, we inadvertently included Choice Home Warranty (aka CHW Group Inc.) in a list of three home warranty companies that had gone out of business as a result of regulatory actions last year. In fact, Choice Home Warranty is very much alive and is advertising at least six open positions on its Edison, New Jersey-based staff. However, it is being sued by the New Jersey Division of Consumer Affairs for allegedly false advertising and deceptive tactics, related to its alleged practice of using the terms and conditions of its contracts to deny valid claims. Queensland drops requirement for 1-month warranty on used cars. 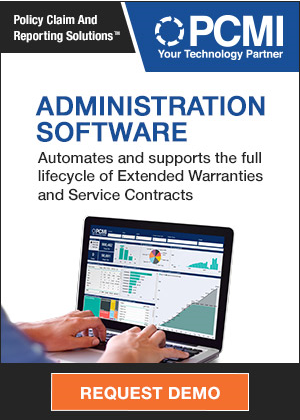 Tavant Technologies hosts webinar on impact of connected home on warranty management. Report faults poor government oversight for Afghan building's demise. Berlin court rules 16 Apple warranty clauses inadmissible. AmTrust Financial Services keeps racking up the deals. Upsie app helps you buy extended warranties. Secret car warranties can help you get a free fix for common problems. Beaufort-Jasper Water and Sewer Authority partners with HomeServe USA. Is a smartphone or tablet protection plan a smart deal, or a waste of money? Telegraph Warranty Service is provided by Warranty Direct and backed by Cardiff Pinnacle. Realtor explains why he works with HSA Home Warranty. How home warranties can help sell a home. GameStop has fixed and resold red-ringed Microsoft Xbox 360s since 2009. Can GameStop avoid Blockbuster's fate? NHTSA fines Honda $70 million for failure to comply with TREAD Act reporting. Deuk Spine Institute neuro-spine surgeon offers spinal surgery warranties. Charleston isn't the first town where HomeServe USA received bad press. Utility Service Partners offers 80 free water & sewer line warranties in Atlanta. Why retailers are betting you'll buy the extended warranty. Sayreville Water and Sewer selects HomeServe USA for service line warranty plan. Fortegra Financial merges eight underwriting divisions into one unified brand. NC Supreme Court rules homebuilders must stand by long-duration warranties. AmTrust Financial Services acquires TMI Solutions LLC. Retailers selling extended warranties hurts consumers, study finds. India's Domestic Efficient Lighting Programme uses LED bulbs with 3-year warranties. Mitsubishi Motors offers 5-year warranty in the UK. Samsung Portable SSD T1 business card-sized flash memory drive has 3-year warranty. Hollingsworth Leasing says myvehiclewarranty is out of business and not paying claims. Court rules GrailCoat Worldwide must honor 20-year warranties. Charleston Water System CEO plans to improve perceptions of HomeServe warranty deal. Final cost of GM, Ally & Chrysler bailouts set at $.9.3 billion by US Treasury. Shares of Assurant hit a 52-week high following a series of encouraging news. Tracker Marine Group offers 5-year warranty on new boats. Mercedes Benz extends warranty coverage on 280,000 cars to fix fuel leaks. Operation Homefront gets $10,000 grant from Toco Warranty Corp.
Navistar CEO & CFO pay cut despite reducing engineering costs and warranty expense. Jamaica Trade Board and dealers differ on need for used car warranty law. SCIC director Tim Meenan says more Americans are going for extended warranties. Tesla Roadster battery upgrade provides 400-mile range. Cardinal Bus Sales prices school bus extended warranties at $1,900. Two men charged in steel roof warranty fraud. PERCo offers 5-year warranty on all Russian-made turnstiles, card readers. MySmartPrice survey finds 54% of online shoppers in India face warranty denials. Ford Racing will offer 2015 Mustang plug-in tuner package under warranty. Charleston Water System logo to be used in advertisements for warranty plans. What happens to gift cards & warranties when a store goes out of business? Nissan driver disappointed by warranty difficulties for shattered sunroof. Meritor launches extended warranty for aftermarket wheel-ends. Manfred Schmoelz joins The Warranty Group to lead Asia Pacific business. Fisher & Paykel and Domestic & General fined AU$200,000 each for misleading extended warranty offers. QBE starts paying home warranty insurance claims for Sublime Builders victims. LoJack reduces mobile protection loss and theft insurance costs.